FREE Chris Janson Buy Me a Boat Full Album! 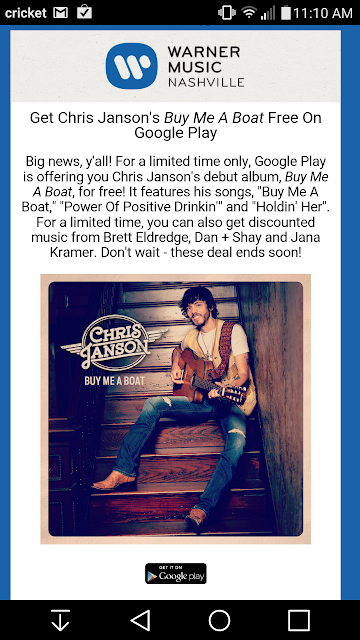 Chris Janson's Buy Me a Boat is available from the Google Play Store for free for a limited time! Go get it!